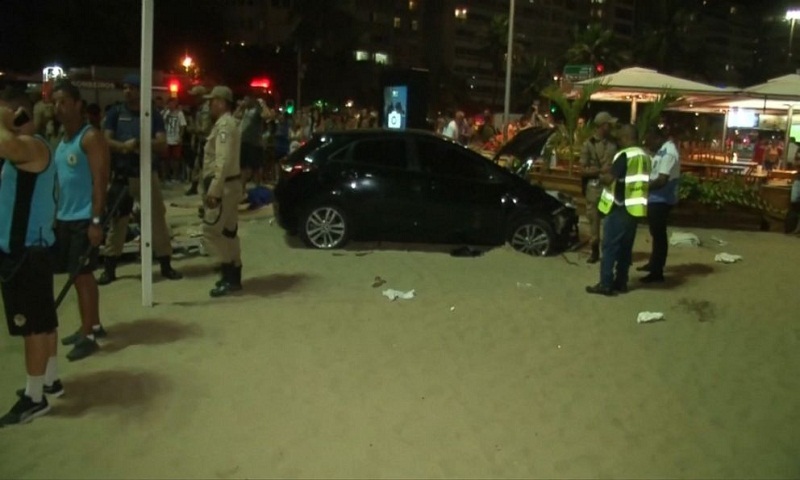 Fifteen people were injured -- including children -- after a car crashed into pedestrians along a beach walk in Brazil. The driver is suspected to have suffered some kind of epileptic attack, according to the Civil Police of Rio de Janeiro State. The accident is not thought to be terror-related, officials said. Video out of Rio de Janeiro shows people strewn about the sand after the accident. First responders were seen tending to the injured, who were surrounded by a crowd of onlookers after the accident. The extent of the injuries is unknown. A small black car was seen with its hood lifted as authorities investigated the scene. It's the run-up to Carnival season, so beaches are more crowded than normal with tourists.